Join us on Tuesday from 0600 for more news including results from Boots and a shareholder meeting for Superdry amid a boardroom battle at the company. 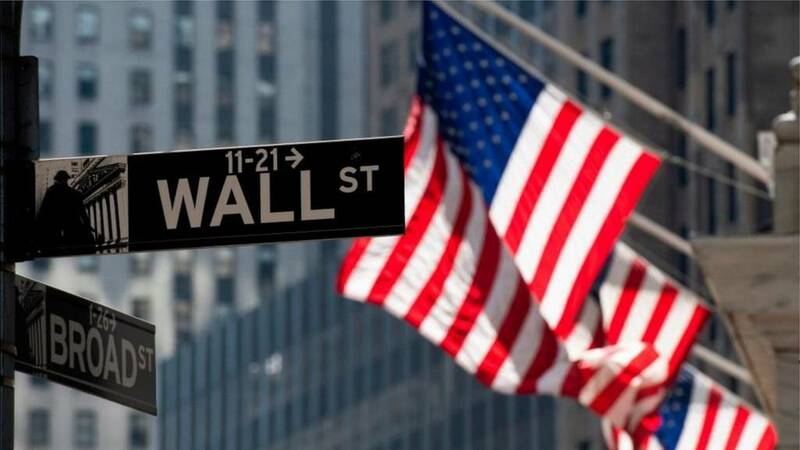 US markets closed higher, as strong manufacturing data from the US and China eased investor fears of a slowdown in global growth. The Dow Jones Industrial Average ended 329.7 points or 1.3% ahead to 26,258.42, while the S&P 500 closed 32.6 points or 1.2% higher to 2,867.10, and the tech-heavy Nasdaq ended 100 points or 1.3% ahead to 7,828.91. Rustranscom,a Russian rail freight company, says it wants to list on the London Stock Exchange, the Financial Times reported. The US stopped orders related to the F-35 fighter aircraft to Turkey, Reuters reports, citing sources familiar with the situation, in a move thought to be related to Turkey's planned purchase of a Russian missile defence system. Delivery of training gear and and everything else related to the stealth fighter has been cancelled, said the news agency. Swiss drug company Novartis is accused by the US government of paying millions of dollars in bribes to doctors so they would prescribe its drugs, and will face a lawsuit after a federal judge ruling. Lawyers for the government will not have to prove a "quid pro quo" arrangement to prove alleged kickbacks, said the judge. "We are disappointed in today's decision and look forward to presenting our case at trial," Novartis spokesman Eric Althoff told Reuters. "We continue to believe that the government has insufficient evidence to support its claims." The case was kicked off by a whistleblower lawsuit filed by former Novartis sales rep Oswald Bilotta in 2011. Mining firms and bank stocks helped the FTSE 100 close up 0.5% to 7317.38. Miners were assisted by rises in metal prices including nickel, while positive trade deal news helped banks like HSBC. The co-owner of Russia's second biggest airline died yesterday when her private plane crashed in Germany, the firm says. China says it will put further controls on fentanyl, a synthetic opioid, which has got caught up in the US China trade negotiations. The US is suffering an epidemic of opioid related deaths and Washington has been pressuring Beijing to curb exports of the drug. New Chinese restrictions on "fentanyl-related substances" will apply from 1 May - so broadening the rules out from just fentanyl itself and its "analogues". But Liu Yuejin, a senior public security ministry official and vice commissioner of the China National Narcotics Control Commission says the US is wide of the mark to finger China as the main source of the drug. “If the United States truly wants to resolve its fentanyl abuse problem, it needs to strengthen its domestic work,” he told journalists. Britain is wrecking its reputation for business stability with political divisions over Brexit and risks leaving the trading bloc with a hugely damaging “no-deal”, the UK head of German industrial giant Siemens said. “Where the UK used to be beacon for stability, we are now becoming a laughing stock,” Juergen Maier said in open letter published by website Politico. Thames Water has revealed a new business plan after the industry regulator said its previous efforts were not good enough. Under the new plan, the company aims to reduce combined bills by 1.3%, giving the average customer a discount of £5 - before inflation - by 2025. Overall, Thames Water said it aims to reduce the budget for the five years from 2020 to £10.9bn, down from £11.7bn. It says targets to reduce pollution, supply interruptions and flooding are also more ambitious than the previous version, which was rejected by water regulator Ofwat in January. Standard Chartered, a UK-based bank that does most of its business in Asia, has agreed a 10-day extension to its deferred prosecution agreement with US regulators. The bank paid $667m to US authorities in 2012 amid Iranian sanctions breaches. It was recently investigated for potential breaches of its agreement not to do it again. “This brief extension will allow additional time to resolve the outstanding investigation into our historical US sanctions compliance,” StanChart told Reuters. Shares in the taxi hailing app Lyft have dropped to below their initial sale price just one trading day after their Wall Street debut. Shares dropped as much as 11.7% in early trading, to $69.12. They listed last week at $72 each. The pound is up almost a cent against the dollar ahead of more votes in parliament. US manufacturing sector activity rose in March after suffering its lowest level in more than two years, according to data from the Institute for Supply Management. Construction spending unexpectedly climbed also, according to the US Commerce Department. A development on a story from last week. Investors stand to lose millions from the collapse of so-called mini-bond sales firm London Capital & Finance. The finance regulator the FCA says there should be an investigation by "an independent person" into what went wrong. the FCA’s supervision of LC&F. "The Board decided that the FCA should ask the Treasury to use its formal powers to direct the FCA to commission this review, as this will ensure that the review has a broad and comprehensive remit," said the FCA. FCA Chair Charles Randell wrote to the Economic Secretary to the Treasury, John Glen, who agreed to the move. More information on the scope of the probe will be published soon, it said. While this does not signify a full recovery in its own right, the fact that the global luxury-fashion market is recognising the solvency of Greek customers significantly counts towards this. The 2019 Greek economy appears to be more buoyant, with Moody’s upgrading Greece’s credit rating by two notches from B3 to B1 on 1 March as a result of the progress made in financial reforms. Keeping a close eye on other symbolic gestures where Greece is concerned will, I believe, become a key component of spotting opportunity in a market that was once a no-go zone. The Bruichladdich whisky distillery on the island of Islay has revealed plans to run entirely on renewable energy within the next five years, as part of a £20m investment. The distillery is now the biggest private sector employer on the island and wants to use energy more responsibly. Bruichladdich currently grows 42% of the barley used in its Scotch locally, which at the moment is sent to Inverness for malting. The distillery now wants to open its first on-site maltings by 2023, and has taken on farmland to increase its barley-growing operation - allowing it to run the full whisky-making process on Islay. Airbnb has invested in the Indian hotel reservation firm Oyo. Oyo operates in India, China, the United Kingdom, Dubai, Indonesia and Malaysia, managing budget hotels and offering logistical services. "Emerging markets like India and China are some of Airbnb's fastest-growing, with our growth increasingly powered by tourism to and from these markets," said Greg Greeley, president of homes, Airbnb. Airbnb is preparing for an IPO later this year. The British government has awarded a £1.3m contract to ensure that lorry drivers are aware of what to do if queues form on roads to UK ports after a no-deal Brexit. The award, brought to the BBC's attention by the data firm Tussell, was given to a company called SSG - Support Services Group Limited on the 20th of March, just nine days before Britain was scheduled to leave the EU. A Highways England spokesperson told the BBC that the contract was part of of its efforts to prevent delays at the UK/EU Border. "If required, it will provide an advisory service for lorry drivers queueing in Operation Brock on the M20 to help them to ensure that they ready for any checks needed at the border before they arrive there."